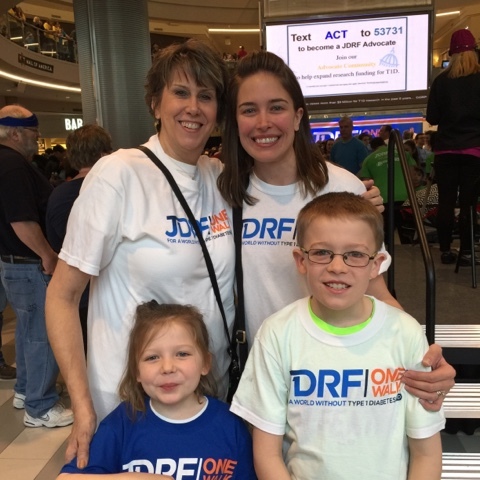 2016 marks our second year of participation with the JDRF ONE Walk fundraiser for a cure of Type 1 Diabetes. Every dollar earned through this fundraiser directly benefits the life-changing research being conducted by JDRF, which in turn, benefits Madelyn. Though this stinker is small, she is mighty. Her bravery inspires so many people, and despite the millions of finger sticks and needle pokes she's endured since her diagnosis, her thirst for living is incredibly motivating. Even at the tender age of (almost) 5, she does not let the fact that she has T1D hold her back. 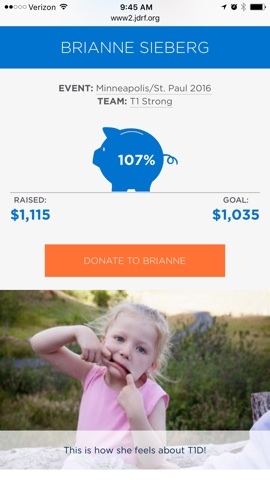 We've successfully raised over $1,000 and surpassed our total from the previous year. 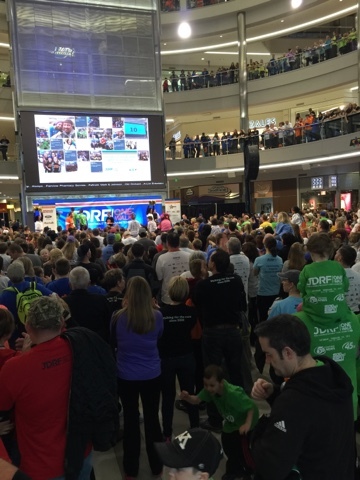 Alongside my mother, we joined thousands of people at the Mall of America to stand our ground against this disease. And once again, as we walked around the mall for an hour, united in our fight, I was filled with confidence. Madelyn already takes advantage of technology pioneered by JDRF, and there have been so many advancements in the treatment of diabetes in less than 100 years that I am certain a cure is just around the corner. And this helps! 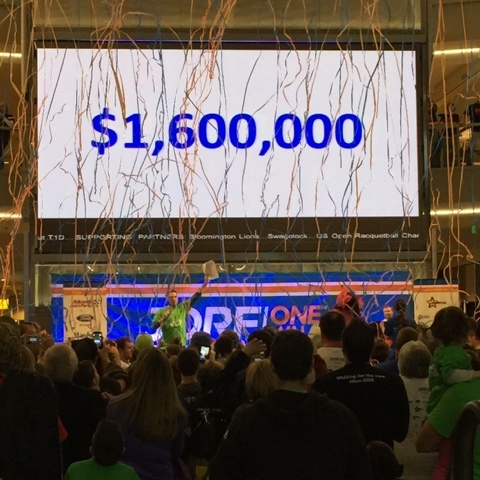 Follow along with our T1 Strong Team Facebook page for continued updates, how to participate in our fundraising initiatives or to join our Walk team in 2017.